Some people consider Bora Bora to be the most beautiful island in the world. This South Pacific island is about one hour flight from Tahiti or Moorea is surrounded by a lagoon and a barrier reef. The island was formed by volcanoes which are now extinct and can be seen at the center of the island rising up as two separate peaks, Mount Pahia and Mount Otemanu, the highest point at 727 meters (2,385 ft). 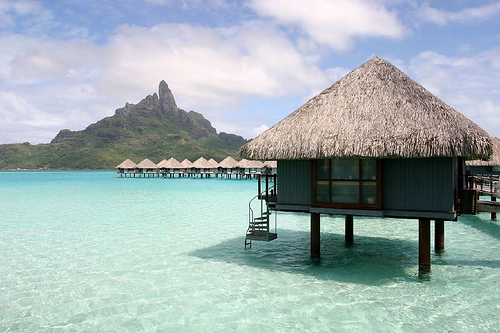 Bora Bora is well known for its over-water bungalows which are found in most resorts. The quality of those bungalows ranges from comparably cheap, basic accommodations to very luxurious – and expensive – places to stay. This is a great tropical destination for water-centric activities as the island is surrounded by a large protected lagoon. French and Tahitian are the primary languages spoken by the locals, but many people in contact with tourists have some command of English. Hawaii is made up of a number of islands formed by a volcanoes and occupies most of an archipelago located in the Pacific southwest of the continental United States. 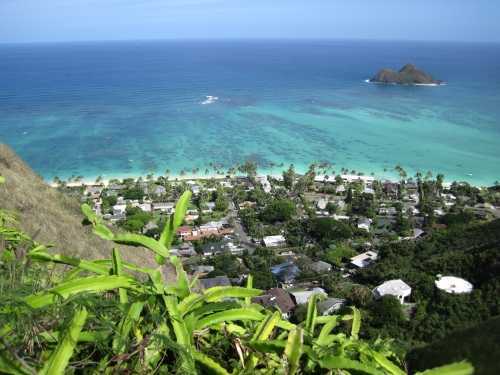 The majority of Hawaiians live on the main island Oahu, where Pearl Harbor is located. The most difficult thing about traveling to Hawaii might be deciding which island to visit and in fact, many people will chose to visit more than just one island, as it is quite easy to travel by air from one island to the next. There are many options when visiting Hawaii, from the more relaxed and laid back Kauai, to the volcanic island of Hawaii (otherwise known as the “big Island”), to Oahu the most populated of the islands, and of course Maui, which is host to a good balance of everything. One thing the islands have in common is their mild tropical weather and spectacular vistas. 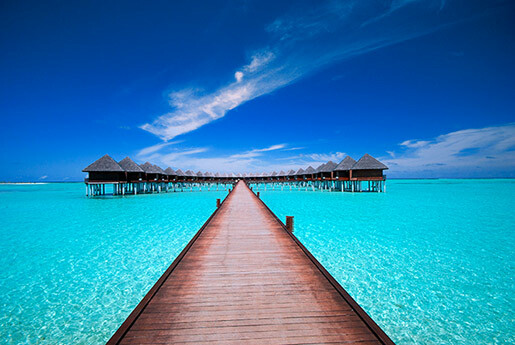 The Republic of Maldives is a tropical island nation in the Indian Ocean consisting of 1190 coral island formed around a double chain of twenty-six atolls stretching in a north-south direction off India’s Lakshadweep islands, between Minicoy Island and Chagos Archipelago. The residents of the islands are dispersed across the atolls and occupy about 200 of the islands. About 90 islands are primarily used as tropical vacation spots for tourists and the majority are uninhabited or used for agriculture and other livelihood purposes. The weather in the Maldives is usually picture perfect, with sunny days, breezy nights, balmy mornings, and iridescent sunsets. The Virgin Islands are a group of tropical islands that form the northern part of the Lesser Antilles, which form the border between the Caribbean Sea and the Atlantic Ocean. Politically, the north-eastern islands form the British Virgin Islands and the south-western ones the United States Virgin Islands. 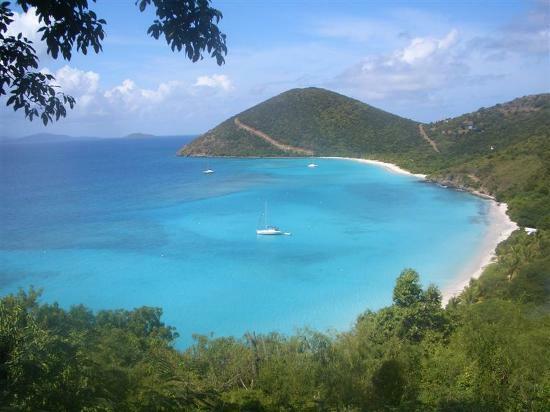 The BVI are known as one of the world’s greatest sailing destinations, and charter sailboats are a very popular way to visit less accessible islands. The Bahamas is a country consisting of 29 islands, 661 cays, and over 2300 islets located in the Atlantic Ocean north of Cuba and the Dominican Republic, northwest of the Turks and Caicos Islands, and southeast of the United States. It is one of the most popular tropical destinations for North Americans. 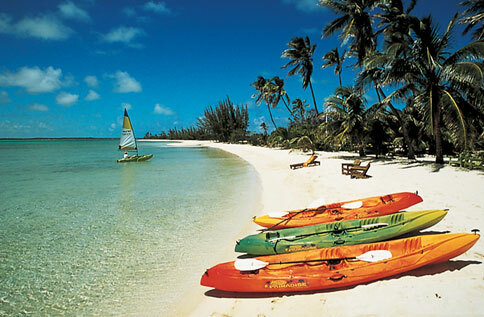 Island hopping around The Bahamas is convenient and common as there are so many islands with much to offer. Most travelers will begin in Nassau, the capital city and can opt for a variety of experiences, from relaxing and secluded to more active endeavors such as hiking and sports. 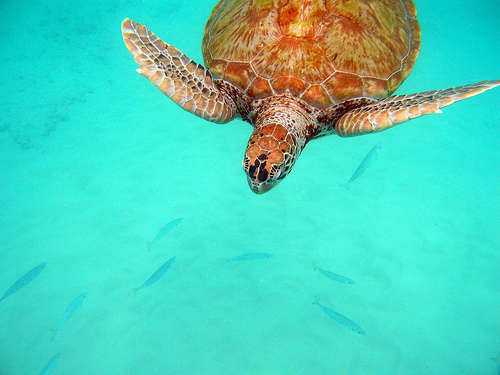 The island nation of Barbados is the easternmost island in the Lesser Antilles in the Caribbean Sea. Barbados is one of the prime tropical destinations in the Caribbean and is host to numerous internationally known hotels offering world-class accommodations. There are also many smaller local hotels and private villas which dot the island have space available if booked in advance. The southern and western coasts of Barbados are most popular, with their fine white and pinkish sandy beaches and are an ideal spot to enjoy the calm light blue Caribbean Sea. The island’s east coast, which faces the Atlantic Ocean is popular with surfers due to its larger waves. The Republic of Mauritius is a tropical island nation off the southeast coast of the African continent in the southwest Indian Ocean, about 900 kilometers (560 mi) east of Madagascar. Of volcanic origin and generally sheltered by barriers of coral reefs forming natural, safe, crystal clear lagoons, Mauritius has long been a dream destination. 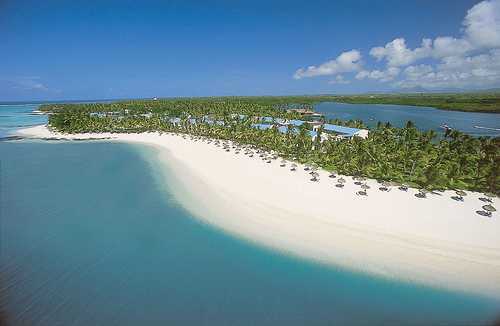 Most people in Mauritius are bilingual and are equally fluent in English and French. The island of Mauritius is notorious for having been the only known habitat of the flightless dodo bird which is now extinct. Fiji is located in the South Pacific and encompasses 333 islands, some inhabited, most not, which were formed through volcanic activity millions of years ago. Fiji is surely the essence of a tropical island paradise with white sandy beaches, swaying coconut trees, pristine oceans and waterways and a range of activities including hiking, kayaking, camping, surfing, snorkeling and some of the best scuba diving around. 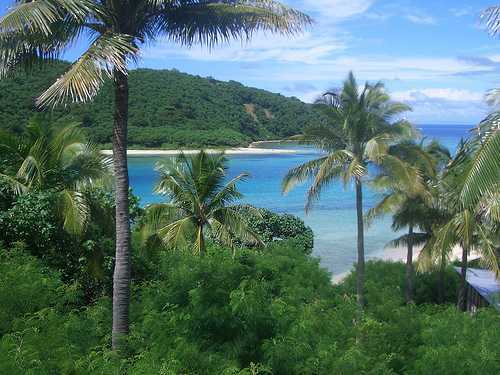 Fiji is visitor friendly and tends to be less crowded, with many world class hotels and accommodations. 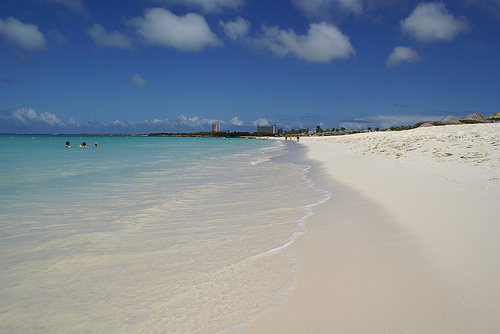 Located in the southern Caribbean Sea, about 27 km north of the coast of Venezuela, Aruba boasts some of the most beautiful white sand beaches in the world. Unlike many other Caribbean islands, Aruba has a dry climate and an arid, cactus-strewn landscape and visitors can depend on the tropical island’s reliably warm and sunny weather. Much of the western coast is lined with resorts and packed with activity, while the windward side is less densely populated. Here magical coves carved out of limestone and inlets formed by the relentless pounding of waves are overlooked by craggy desert terrain and afford tranquility, privacy and unique natural phenomena. 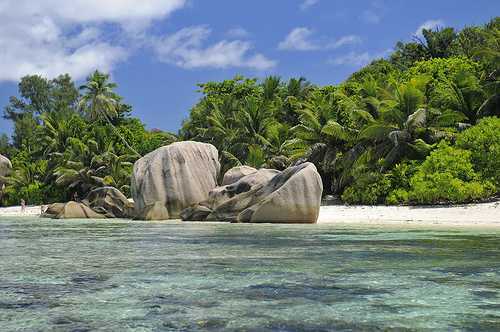 The Republic of Seychelles is located in the western Indian Ocean and includes 115 islands. The tropical islands make up a vast archipelago of remarkable beauty that lies south of the equator and is situated between 500km and 1,600km from the eastern African coast. The main island of Mahé is home to the capital, Victoria and serves as the main transit point for visitors. Mahé is considered to host some of the most stunning and pristine beaches in the world and the group of islands surrounding it form the cultural and economic hub of the nation. If you’ve found this article useful, please help us out by sharing it on Facebook and Twitter!